You control the fence by clicking one of the eight arrows. 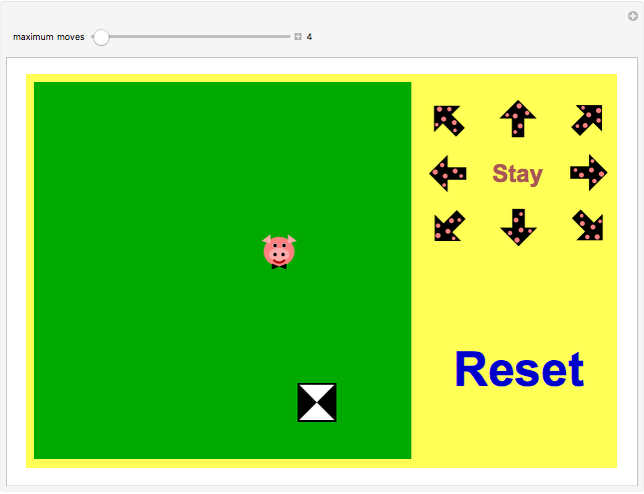 The pig moves up, down, left, or right. You win after encircling the pig completely by fences, making sure that the fence closes with an overlap. 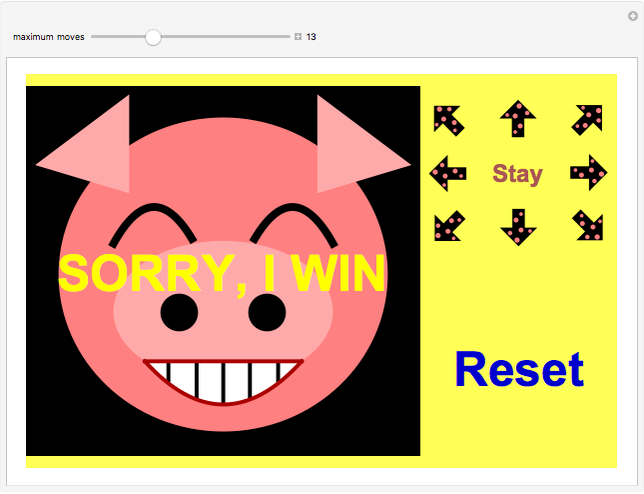 The pig wins if it reaches the edge of the playing field or when the limit of moves is reached. Tian "Cathy" Dong "Don't Let The Pig Escape"